Sizing & Buying Guides | We're here to help! You will find three body styles when shopping online for our Premium T-shirts. 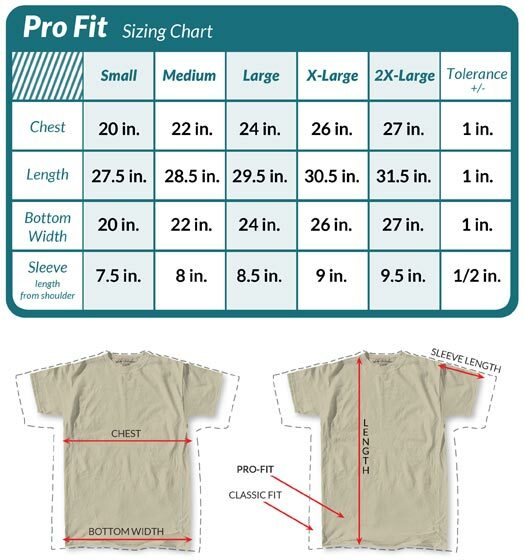 Here you will find the sizing charts for each so you can easily make a comparison between the Classic Fit vs Pro-Fit and Tall fit styles. All our tees are made from the same thick heavyweight fabric you have come to trust when buying high quality men's shirts. 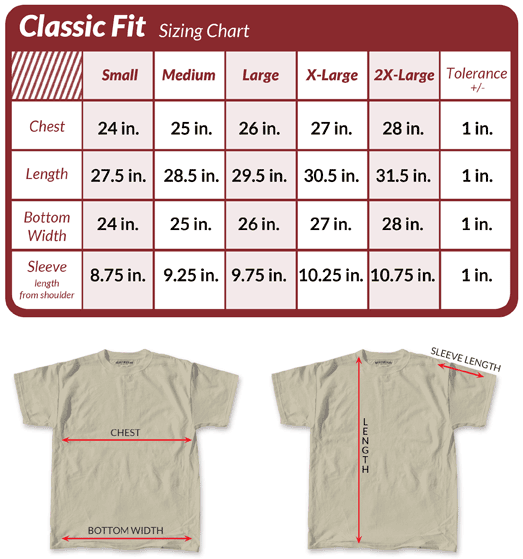 How do you pick the correct t-shirt size? You will want to consider the style as well as the actual measurements when you consider what size to get. All our tees will give you a more boxy fit but the pro fit style will be a little more narrow in the body as well as in the sleeve. If you are wearing the shirt under a button-down you may want to consider the pro-fit that matches your measurements the closest. 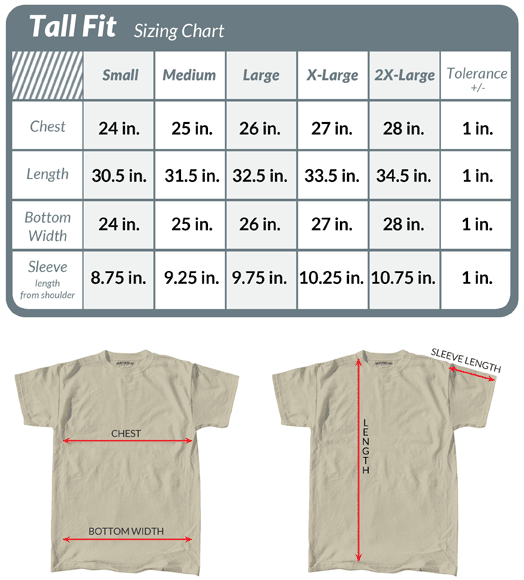 On each HeavyTshirt product detail page, you will find the size chart that matches that particular shirt. Be sure to pay attention to the body style you are buying as they differ in width and length. Our Classic Fit is the flagship of our men's clothes line up. It has a reputation for it's heavyweight fabric, unique fit and durable long-lasting quality. The Tall Fit is not necessarily for the Big & Tall man but covers the extra length needed for the man who is taller than average and wants a little more length to his shirt. A popular addition to our men's t-shirt collection is the Pro Fit. It sits a little closer to the body and has a narrower sleeve. The neckline still hugs close to the body as with all our tees and it is still made with our super thick 100% cotton. 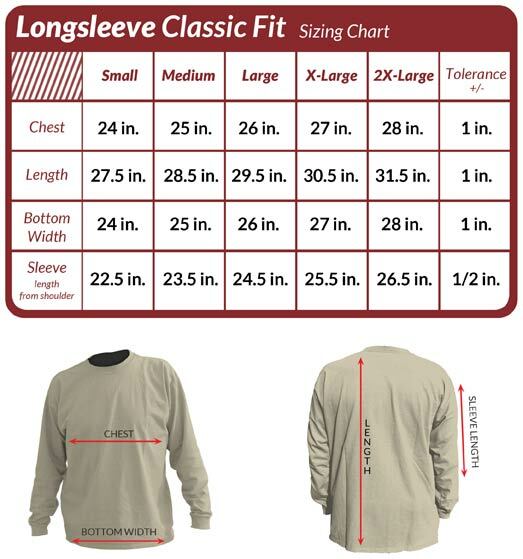 Our Classic fit long sleeve tee is great for winter or summer, the relaxed fit allows the fabric to breathe and yet provide extra coverage when it is a little chilly. 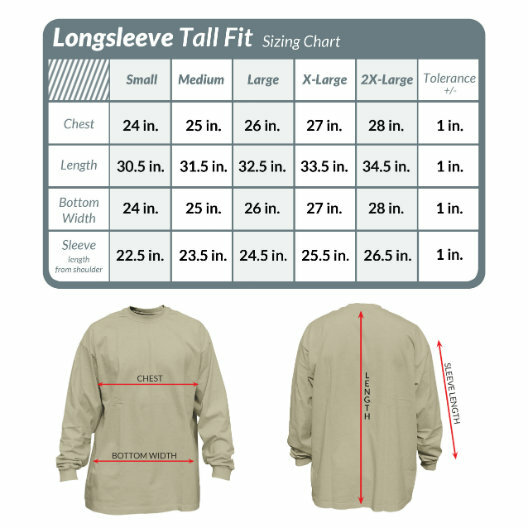 When you choose the Tall Fit long sleeve tee you get extra length in the shirt body. Otherwise it is the same as the classic fit tee shown above. 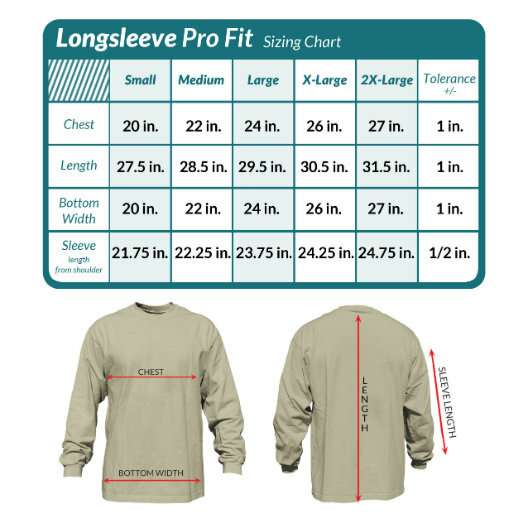 As with the short sleeve version of the Pro Fit Tee, the long sleeve version has a more narrow body and less fabric in the sleeves.